The Big Question: Do dedicated lanes make cycling less safe, and should roads be redesigned? Because research published yesterday suggests that when cyclists ride in dedicated lanes motorists give them less room. Teams at Leeds and Bolton universities, supported by CTC, the national cyclists' organisation, put a camera on the back of a bike being ridden along three roads in the north of England. Analysis of the footage revealed that drivers gave up to 18cm (seven inches) more space to cyclists on stretches without cycle lanes. The findings question the perceived wisdom that slapping down strips of green paint and white lines makes riding safer. And as cycling continues to enjoy a boom, the suggestion that cycle lanes could be endangering rather than protecting users highlights increasingly fraught relationship between riders and drivers. Why do drivers behave this way? It comes down to psychology. "The very existence of cycle lanes can lead to drivers to being lazier when overtaking because they believe the space between the cycle lane and the middle of the road is their territory," Peck says. It's though the presence of a solid white line offers the illusion – to both rider and driver – of a barrier behind which cyclists are protected. When the barrier is not there, drivers take care as they move to overtake cyclists rather than roaring past with inches to spare. 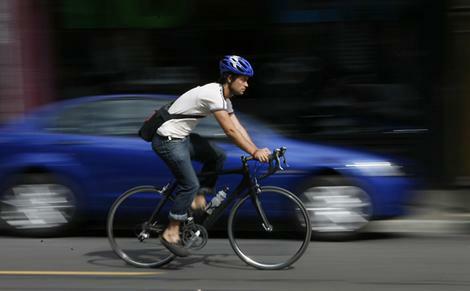 Other research suggests drivers react in similar way to cyclists wearing helmets. In 2006, a traffic psychologist at the University of Bath found drivers gave him less room when he was wearing head protection than when he rode helmet-free. What have other studies found? This latest research isn't the first to paint cycle lanes in a bad light. Studies in Sweden, Denmark, Finland and Milton Keynes have also shown an increased risk for cyclists using lanes. And in 2007, the Cycle Campaign Network, an umbrella organisation representing 70 local cycling groups, said it "knows of no evidence that cycle facilities and in particular cycle lanes, generally lead to safer conditions for cycling". Only when they're properly built and in the right places. Government standards require cycle lanes to be two metres wide, with a minimum width of 1.5 metres. But all the lanes used in the latest research fell short – and CTC believes that the same is true of the "vast majority" of Britain's bike lanes. "You wouldn't see authorities skimping on lane width when it comes to motorways," Peck says. "Even if drivers are being lazy that's not so much of a problem if the cycle lane is wide enough to give the required berth." Other cycle lane failures include stretches that stop suddenly, depositing riders back into traffic. Are lanes always a good idea? Not in slower traffic. "It's the difference in speeds on the road that creates danger," Peck says. "Cycle lanes try to alleviate that by creating separate areas but they aren't always successful. But if traffic is limited to 20mph, that's the speed at which road users can mix happily." The article makes the point I've been trying to make - that bike lanes actually make it more dangerous forthe bike rider by bringing the traffic closer. Vehicles will generally pass closer to you when you are riding in a bike lane than when you're not in a bike lane. The article also makes the additional point I made...that bike lanes are not needed in areas with slower traffic. Drivers in downtown Indianapolis do not usually go much more than 20 mph. Bike riders can generally keep up. Where there is a disparity in speed, you have a more dangerous situation. When Greenwood High School valedictorian Eric Workman took to the podium Friday to deliver his commencement speech, many in the audience grew restless. Workman had become a lightning rod for controversy in recent months because of his successful federal lawsuit against school-sanctioned prayer at the high school's graduation. Some in the packed high school gymnasium began coughing, talking and making noise. But Workman, who hadn't spoken previously about his opposition to student-led prayer, told the audience he was taking a stand for the U.S. Constitution. "No entity of government can endorse or promote religion or religious doctrine," he said in a calm, professorial tone. "That includes school-sponsored prayer." Johnson County school district, where about 220 received diplomas Friday. Traditionally, the high school held a vote asking seniors if they wanted a prayer during the graduation ceremony. Each year, a majority voted in favor of prayer, including this year. Though Workman had fought against prayer, class president Courtenay Elizabeth Cox gave many students what they wanted. "I would like to give thanks to God," she said, as the audience and graduates broke into cheers and applause. "None of us would even be alive, and I personally wouldn't be standing here, without him. "The staff here and my family helped me through a lot of hardships, but I would not have overcome any of those without my faith." Cox also read a verse from the Bible, adding, "Remember, people come and go, but God is always there for you. . . . I believe he deserves to be thanked for that." Workman and Cox actually present interesting issues of constitutional law. People often forget that the First Amendment has two religion clauses- the Establishment Clause and the often overlooked Free Exercise (of Religion) Clause. So many times I hear people claim that the Founding Fathers intended strict separation of religion and government through the adoption of the Establishment Clause. Poppycock. The Constitutional Convention started each day with a prayer. Delegates quoted at length from the bible. 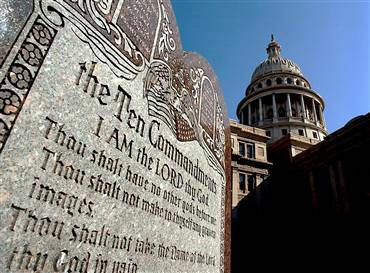 The First Congress which passed the First Amendment, also started each day with a prayer. The history behind the First Amendment's adoption, as well as the the use of the word "establish," clearly demonstrate that the Founding Fathers goal was preventing the United States from adopting an official national religion like England had with the Anglican church. What people fail to realize is that the Establishment Clause, as well as the entire Bill of Rights, originally did not apply to states at all. Many states actually had official state religions well into the middle of the 19th Century. New Hampshire's ended its official religion - the Congregational Church, in 1877. Beginning in the early 1960s, the court revisited the Establishment Clause giving it a broader meaning. Instead of simply banning the adoption of a particular religion as the official government religion, the court ruled that government must also not endorse or promote a particular religion, or religion over non-religion. Determining what is "endorsing" or "promoting" religion is difficult enough for government entities like school districts. What adds to those difficulties, however, is the second religion clause, the oft-forgotten Free Exercise Clause. That clause mandates that government entities must accommodate religion and allow religious activities to take place, even on public property. In practice, this means that Greenwood High School would have been violating Cox's free exercise rights if they attempted to stop her speech because of its religious content. On the other hand, school officials can't do anything that is seen as "promoting" or "endorsing" Cox's speech or they could be found to have violated the Establishment Clause. That is why Greenwood abandoned its practice of reviewing student speaker's speeches in advance. The minute school officials approve a student's speech which contains religious content, it can be argued that the school is violating the Establishment Clause by "promoting" or "endorsing" that religious content. But if the school district to prohibits the student's speech based on its religious content, then you have another constitutional problem - a violation of the student's free exercise rights. Anyone who thinks these constitutional issues are easily answered don't know the case law. Indianapolis' brave bicycle commuters can celebrate the good, the bad and the ugly this time of year. "The good: Commuting by bike has become a bit safer. The bad: It is still pretty dangerous. The ugly: Bikers aren't welcome around the Indianapolis Motor Speedway. The good: Mayor Greg Ballard has become a cheerleader for biking. Last week he observed Bike to Work Day by taking a ride. Last month he celebrated Indianapolis' inclusion in Bicycling magazine's top 50 bike-friendly cities. Next month he plans to open bike lanes on Allisonville Road. The mayor has led the way in adding bike lanes all over town, including a plan to open 35 miles of lanes this year. He also has championed the Cultural Trail -- a Downtown bicycle-friendly path that Brian Payne of the Central Indiana Community Foundation has pushed with commendable perseverance. Ballard sees bicycling as one part of protecting the city's environment. "A city linked by trails, sidewalks and bike lanes for people of all ages to travel where they need to go is a major component of my vision for making Indianapolis one of the most sustainable cities in the Midwest," he said recently." As someone who regularly commutes by bicycle, this is an issue that I feel I can speak on from experience.. From 2004 throught 2006, I commuted twice a week (during the warmer months) from my northwest side home to my job in Greenwood. The ride was about a 45 mile round trip. Since the fall of 2006 I've worked downtown Indianapolis. My commute now is only about 19 miles round trip, much of which is spent on the White River trail. I don't share Pulliam's enthusiasm for those downtown bike lanes. They are not "safer." In fact those bike lanes are downright dangerous for bike riders and drivers alike. First rule of urban bicycle commuting is that you don't ride your bike right next to parked cars. People parking throw open their doors, with only a glance over a shoulder looking for cars, not a much harder to see bicycle. The downtown bicycle lanes often run right by parked cars, putting bicyclists at risks. Even worse, those bike lanes weave in and out of traffic lanes. Vehicular traffic is often crossing over the bike paths. It is a very dangerous situation. 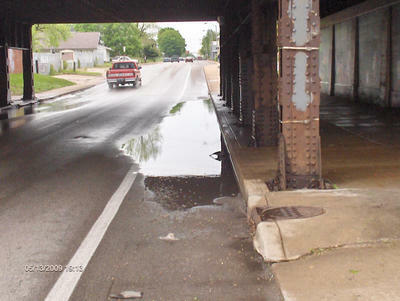 You also have the problem of broken pavement, debris and standing water often in the narrow bike lanes. Confronted with those obstacles, a bicyclist has to make a suden manuever often by going outinto a traffic lane. Go west on the Michigan Street bike lane. The pavement is in awful shape. The picture above is of standing water in the New York bike lane. With the traffic lanes narrowed to make room for the bikelanes, there is less room for the cars which creates a more dangerous commute for everyone involved. Here is the truth about biking in Indianapolis. Downtown has always been one of the safest places in the city to ride a bike. The lanes are extremely wide allowing bikers to easily maneuver out of the way of obstacles (which you can't do if confined to a narrow bike lane.) Traffic rarely fills up all the lanes. A decent bicyclist can fairly easily keep up with traffic and if you're really slow, you can ride on the sidewalk. (Contrary to what many people think, riding a bike on a sidewalk in Indy is not illegal.) When you create bike lanes you change that dynamic, creating a more dangerous situation for drivers and bike riders. Pullium's column does correctly note that bikers are more safe on dedicated trails and that the Ballard administration has not lived up to the promise to expand those trails. Heck, I'd be satisfied if the Ballard administration simply paid attention to upkeep of the existing trails. The White River trail is in terrible shape. The pavement is buckling and grass is growing in the cracks. Frankly those in the organized bicycling community have an inferiority complex. After years of being ignored, they are thrilled that someone is finally paying attention to them, even if nothing of substance gets accomplished. Me, I prefer real progress on making bicycle commuting in Indianapolis safer. That we are not seeing. ADDENDUM: I posted this as a note below but it is such an important point that I thought I would put it into the main post. Here's another reason why bike lanes in general can be unsafe. Bicycle instructors teach people to "ride large." You are not supposed to ride on the far right side of a traffic lane because it's hard for cars to see you there. Instead you are supposed to ride well off the side of the road so cars can see you and make decisions to pass by going into the OTHER lane. If you ride along the side of the road, you're likely to get a brushback pass where a car passes within inches of your bicycle, assuming of course the driver sees you at all. What these bike lanes do is to throw out that long-time safety instruction about "riding large." The bike lanes confine bicyclists to a narrow strip of road next to traffic where nearly every pass is a brushback pass. The bicyclist is left hoping the driver stays in his lane and/or isn't distracted and crosses into the bike lane. If so, the bicyclist has nowhere to go. The coming retirement of Indiana Supreme Court Justice Theodore Boehm offers Gov. Mitch Daniels a rare opportunity to alter the political alignment of the court as well as its gender makeup. The process for filling the seat, thankfully, is not overtly political. Hoosiers are spared the sort of partisan friction that too often characterizes U.S. Supreme Court confirmations and direct elections of appellate jurists in other states. development of a pro bono system linking lawyers with indigent clients. His replacement will be the first justice to be named by a Republican governor since 1986. Daniels must choose from three candidates to be put forward by a seven-member nominating committee. Chaired by Chief Justice Randall Shepard, the committee includes three gubernatorial appointees and three members elected by attorneys. After a minimum of two years' service, the new justice must stand for a yes-or-no retention vote in a general election. Approval means a 10-year term. The Indiana State Bar Association likes the process so well it proposes extending it to the local trial court level statewide. The idea is a sound one, especially considering the example of Marion County, where elections are a charade that rewards party insiders. "We're a long way politically from being able to make that happen," says Bill Jonas of South Bend, the state Bar Association's immediate past president, noting that the state legislature tried to abolish merit selection in Lake and St. Joseph counties this year. Daniels vetoed the bill. From 1989 to 1993, I clerked for Judge Paul H. Buchanan, Jr. of the Indiana Court of Appeals. After he retired, I worked for six months for the Honorable Ezra Friedlander before going into private practice. Judge Buchanan was originally elected to the Court of Appeals, running statewide. Interestingly Judge Buchanan was a major player in the adoption of Indiana's Missouri Plan system for selecting judges to the Court of Appeals and Supreme Court. He was extremely proud of his involvement and the quality of the state appellate judges, who were free from most political influence, that resulted from the change. Let me explain briefly how the Indiana Missouri Plan works. All three branches of government appoint three individuals to a judicial screening committee. When an opening comes up in the appellate courts, attorneys eligible for the position are notified and given instructions on how to apply. The judicial screening committee screens those applications, coming up with a list of three finalists that is submitted to the Governor. The Governor appoints one of those finalists for the vacancy. That appointed judge will then face the electorate in a Yes-No retention vote within two years. If he/she is successful, the judge will only have to face voters in a retention vote every 10 years. Having clerked at the Court, I too am impressed by the quality of Hoosier state appellate jurists. The system seems to be working better than the Presidential appointment/Senate confirmation system used in the federal system. Nonetheless, Indiana's Missouri Plan has problems. First, while the judicial commission is charged with picking the three best candidates, the way it works in practice is that the Governor will let his favorite be known and that candidate inevitably ends up on the list of finalists considered by the Governor. For example, during Evan Bayh's term as Governor he appointed the late Jon Krahulik, his personal attorney, to the Court. While Krahulik proved to be an excellent judge, there was little in his resume that at the time warranted his being in the top three candidates selected by the screening commission. A bigger problem though is the complete failure of the populist check on the system - the retention vote. Never in the history of Indiana's Missouri Plan has a judge come close to losing a retention vote. It is the national reaction of voters, when they don't know the judge (which is usually the case), to vote "Yes" on the retention vote. I think if you surveyed the Indiana bar, most would agree that the state system for selecting judges works better than the federal. Virtually everyone though agrees that the partisan process for picking state court trial judges leaves too much potential for conflicts of interest and abuse. In that debate, Marion County's slating-dominated system, where party bosses handpick Marion County judges, is Exhibit A for a system that screams out for reform. While the Star is right to praise the quality of our state appellate court judges, Indiana's Missouri Plan does need some tweaking. There is no reason it can't be better. American Structurepoint has been tapped by the Indianapolis Department of Public Works as program manager for the city’s “RebuildIndy” infrastructure-improvement initiative. RebuildIndy is the formal name of the massive infrastructure improvements Mayor Greg Ballard wants to make with $425 million in expected proceeds from selling the city’s water and sewer utilities to Citizens Energy Group. Contract terms with American Structurepoint are still being negotiated, said DPW spokeswoman Molly Deuberry. Indianapolis-based American Structurepoint was one of four companies to express interest in the city project, she said. The 44-year-old firm, which also has offices in South Bend and Columbus, Ohio, has worked on a number of high-profile projects, including design work on the Interstate 69 expansion. Besides helping the city develop strategies on project selection and implementation, American Structurepoint also will work with the city to manage its stormwater capital-improvement program, DPW said. What is not in the article, is the fact that American Structurepoint used to be known as American Consulting Engineers and its owners, executives James Wurster and Willis Conner, were indicted for bribery by former Marion County Prosecutor Scott Newman. The indictments had to do with ACE giving a $50,000 political contribution plus a job to Indiana House Ways and Means Chairman Sam Turpin. The job was not disclosed and Turpin allegedly engaged in actions to favor Ace. Wurster and Conner took an appeal of the indictment and won on the basis that the allegation did not include a quid pro quo ("this for that") and without a specific allegation regarding what Wurster and Conner received for their money, the bribery allegation could not stand. As a side note, the "quid pro quo" requirement remains one of the biggest obstacles to the enforcement of the state's bribery law. 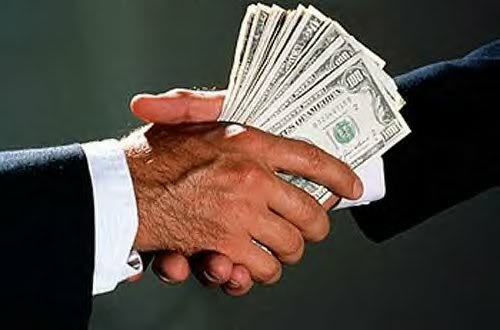 Rarely do those wanting favors hand over money with specific instructions to vote a certain way or engage in certain conduct favorable for the one offering the bribe. Rather Indiana's version of "Pay to Play" involves a wink and a nod which generally can't be prosecuted under Indiana law, but can be prosecuted under the federal Hobbs Act which has a lower standard. While Wurster appears to be out, Conner is still with the company. During 2008 and 2009 (years when the Mayor wasn't even a candidate), Conner individually donated $22,500 to Mayor Ballard's Campaign. American Structurepoint executive Marlin A. Knowles, Jr. contributed $30,000. There are probably others from American Structurepoint who contributed to the Ballard campaign as well. Blogger Gary Welsh calls it "Pay to Play the Ballard Way." (To find Gary's take on the story click here.) Indeed it is exactly that. While Ballard pledged to change how business was conducted on the 25th Floor, those of us who supported him never expected that the "change" was to take Indianapolis pay to play politics to a new and unprecedented level. A City-County Council committee gave its nod Tuesday to a series of fee increases that would help pay for tougher regulation of certain businesses and stricter enforcement of city codes. The proposal, recommended in a 6-1 vote by the Rules and Public Policy Committee, would boost licensing expenses for 27 businesses including hotels, taxicabs, massage parlors and dance halls. It also would increase the costs for construction permits and fees for code violations. Angel Rivera, a Republican councilman, voted against the proposal because he opposes certain aspects of the measure. Among them is charging good-faith business operators, such as five-star Downtown hotels, to subsidize inspections for what he calls "bad apples" -- hotels that become hotbeds for illegal activity. Hotel annual licensing fees will increase from $20 to $372 under the proposal. As I recall during the 2007 campaign, Candidate Greg Ballard counted user fee increases on businesses and individuals as being "taxes." Now though it appears that Candidate Greg Ballard's evil twin, Mayor Greg Ballard, wants to change the terminology so that fee increases aren't counted as "taxes." Apparently the Republican majority on the Council believes that by calling a tax a "fee" it can escape responsibility with the electorate for increasing taxes...sort of like the same way the Republican councilors think they can explain in a soundbite world that the CIB tax increases shouldn't count as tax increases since they mostly impact non-Indianapolis residents. It is wishful thinking. As I recall, just a few months ago, the Council participated in an administration coop, led behind the scenes by AT&T lobbyist Joe Loftus, to can Indy's telecom director Rick Maultra's. Maultra's offense? He advocated that the telecoms, like Loftus' AT&T, pay for using the City's right-of-way like they do in virtually every other city. Maultra's proposal would have raised millions for the city. I heard a number of councilors, mostly Republicans, remark at the time that the telecoms wouldn't pay these fees, that the businesses would just pass along the fees in higher rates. While I don't agree with that reasoning (competitive pressures don't always allow business fees or taxes to simply be passed along to consumers) it's interesting to see Republicans use this argument selectively. Using the telecom argument of last December, the business taxes, er "fee" increases, the council committee approved last night, will get passed along directly to consumers. Of course, as the Council ponders raising taxes disguised as water fee increases, we shouldn't be too surprised. Mayor Ballard and the Republican-controlled Council: Make no mistake about it, a tax increase by any other name is still a tax increase. You will pay a big price for your abandonment of fiscal conservativism come the 2011 elections. WASHINGTON — A lukewarm endorsement from Defense Secretary Robert Gates and opposition among some Democratic lawmakers cast doubt Tuesday on a White House-backed proposal to lift the ban on gays serving openly in the military. Conservative Democrats were hesitant to back the compromise struck Monday by the White House and a small group of more liberal lawmakers who fear that repeal efforts will be doomed if Republicans regain control of one or both houses of Congress after fall elections. The plan would overturn the "don't ask, don't tell" law but still allow the military to decide when and how to implement any changes to accommodate the new policy. Gates said Tuesday he supports repeal but would prefer that Congress wait to vote until he can talk to the troops and chart a path forward. A study ordered by Gates is due on Dec. 1. Some lawmakers took a similar stand. "I see no reason for the political process to pre-empt it," Sen. Jim Webb, D-Va., said of the military study. Obama has vowed to help repeal the 1993 law, which prohibits the military from asking service members whether they are gay, bans homosexual activity and requires that gay troops not discuss their sexual orientation. Gates and Adm. Mike Mullen, chairman of the Joint Chiefs of Staff, say they agree that the ban should be lifted yet want time to complete a wide-ranging study on how to do so without causing turmoil. With the political clock ticking, several lawmakers were planning this week to push for an immediate suspension on military firings related to sexual orientation. In a deal brokered by the White House on Monday, Sens. Carl Levin, D-Mich., and Joe Lieberman, I-Conn., and Rep. Patrick Murphy, D-Pa., announced they would introduce repeal legislation that would require military approval before it would take effect. Levin said he wasn't sure he had enough votes to pass the measure, as speculation surfaced that supporters were still at least one vote short. While Webb said he would oppose the measure, Sen. Susan Collins, a Republican, announced on Tuesday that she would support it. Sen. Ben Nelson, a conservative Nebraska Democrat who also sits on the panel, declined to say how he would vote. Sen. Scott Brown, a Republican seen by many Democrats as a potential swing vote because he represents the heavily Democratic state of Massachusetts, said he was unlikely to agree to a repeal this week. Gay rights groups are urging quick congressional approval of repeal. 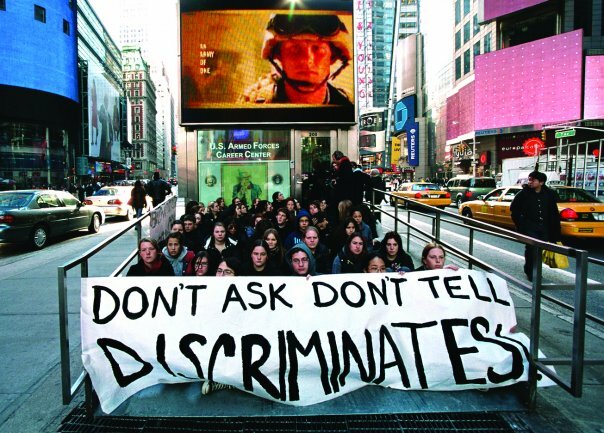 "Without a repeal vote by Congress this year, the Pentagon's hands are tied and the armed forces will be forced to continue adhering to the discriminatory 'don't ask, don't tell' law," Joe Solmonese, president of the Human Rights Campaign, said Monday. Even though I am a conservative on both economic and most social issues, I don't see the point of this policy. One's sexual orientation doesn't affect his or her ability to serve in the military. If a straight soldier's morale is somehow negatively affected by having to serve along side a homosexual soldier, well then that's the straight soldier's problem. It's the same argument - morale - that was used for years to avoid racial integration in the military until the 1950s. Racist whites, in particular those from the segregated south, didn't want to serve along African-Americans. While sexual orientation is not the same thing as race, in this case the policy belies stereotypical attitudes that should be assigned to the scrap heap of history. Over at Indianapolis Painfully Objective Political Analysis, blogger Chris Worden has written at least three articles now discussing the political impact a person's name and gender has on voting results. Worden's analysis which he refers to as "name combat" is spot on. Let me summarize and discuss. Worden correctly observes that people will often vote in races even though they know little if anything about the candidates. He's absolutely correct. That's one thing that is hard to get across to candidates. They get so wrapped up in their race and the issues, they become convinvced that on Election Day voters are casting a ballot based on information they've received about their race. As Worden points out the real reasons that influence decisions are often much more superficial. It's really hard for men to beat out women in these type of races. So many voters go into the voting booth, not knowing anyone, but of the belief that there needs to be more women in elected office. So they look for female names. I would have loved though to see one of those women use a hyphenated name and see if it might pull down her numbers. Which leads to my next topic, the name. What I find most tragic about last Tuesday is that in 1998, Bobby Hidalgo Kern, a man who was convicted of forgery and who would periodically impersonate a female judge he admired, won the Democratic Party primary for what was then Indiana’s 6th Congressional District. The then-6th, now 5th District of Indiana hasn’t progressed in the past decade, and it’s a shame that should hang over the entire party until we address it. I think Worden is a little too hard on these voters. I doubt many of them knew Nasser Hanna's qualifications and ignored them because of his name. Rather more likely it was voters who knew absolutely nothing about the candidates but their name - so they picked the one "most American sounding." I think that voting pattern is as much an indictment of ignorance as xenophobia and/or racism. (1) Many people will vote for an office, even if they know nothing about the candidates. People like to "finish" things, and moreover, to not vote is an admission we didn't do our homework as good citizens. Accordingly, many people (probably myself included) will rationalize and tell ourselves, "Well, of course, we have enough information to vote. I heard about that candidate from my best friend's sister's boyfriend's brother's girlfriend who heard it from this guy who knows this kid who's going with the girl who saw Ferris pass out at 31 Flavors." (a) If a woman runs against a woman, the one with the name that is either more familiar or "cool" without being too "weird" will almost always prevail over any woman with a funny-sounded, overly exotic, or "foreign" sounding name. (b) If a woman runs against a man, she will prevail over a man, provided they share equally-familiar names. This is because women constitute a higher percentage of the population already, plus they're more likely to follow gender identity as a voting prompt. However, if the woman's name is too "out there," even some women will break for the man. (c) If a man runs against a man, apply Rule A.
I have a corollary about nicknames in parentheses, which is that candidates will either be rewarded or punished, depending on whether the nickname is deemed more folksy and charming or more embarrassing by the constituents. I think these conclusions about voting trends, in particular in more low profile races, are dead on accurate. While political strategists focus a lot on ballot placement (Indiana uses alphabetical order), the effect of female voting and common name voting is even more pronounced. In my school board race, I finished sixth out of 13, behind three women, a man who is school board candidate, and a male candidate who worked non-stop for months, knocking on thousands of doors. With one exception, men occupied the 6-13 positions. A woman who finished third in the race (and thus was elected) was Yvette White, a candidate who had barely campaigned and who seemed to come out of nowhere to beat out a male candidate, Eric Huffine, who had worked his tail off for months. Certainly being a woman and having a common name helped her. Possibly too did the similarity of her name with Beth White, the Marion County Clerk. There is a saying that watching how our legislature makes laws is like watching sausage be made...you don't want to watch it. However, if you want to really be bothered by an aspect of democracy, talk to voters sometime about how they decided to vote in races where they really didn't know the candidates. It's frightening. Over at another blog, Abdul criticizes the African-American community for complaining about police brutality and uses a satirical piece by Chris Rock to make a point that if a police officer is beating up an African-American suspect, well the suspect most certainly deserved it. While Rock was being sarcastic in the very funny clip, many posters to the piece apparently thought Rock was being serious and praised Rock's "lesson" that if blacks are getting beaten by cops it is because they're misbehaving. You would have thought one of Rock's suggestion of African-American drivers traveling with white passengers in order to avoid a whipping by the police would be enough to tip viewers off on the fact that Rock was joking. But alas that is not the case. 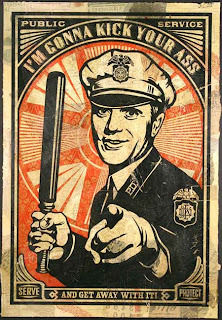 I love how posters on that blog apparently believe that if someone is suspected of a crime, it's okay for police officers to beat the crap out of them. So much for those of us who believe in due process of law. Fortunately, most police officers act professionally and responsibly. There are numerous exceptions out there, however. For example, our law firm has video in which an officer from a small local police department was talking to a neighborhood witness of a shooting, when another officer ran up and tazed the African-American man knocking him to the ground. The other officers watched in horror while their colleague began kicking the man as he laid helpless on the ground. Police misconduct is not confined to mistreatment of blacks Last year an IMPD officer pulled over my niece who was returning from an African-American neighborhood where she had been visiting a friend. The officer didn't cite any reason for stopping my niece but demanded to know what she was doing in the neighborhood. He told her get out of the car and handcuffed her. He then proceeded to search her car. Not finding anything, he let her go. Apparently driving while white in a black neighborhood is enough of a reason for at least one IMPD officer to think he has grounds to make a stop and search a person's car. A colleague of mine at my law firm recently returned from Carmel City Court. (That court hears mostly traffic infractions and traffic-related misdemeanors.) He said that while he was waiting to go through the metal detector he noticed that every person in line to get into the courtroom was a minority. He later stuck his head into the courtroom and could only find a couple white defendants in the room. That's consistent with my experience as an attorney with the Carmel City Court and Carmel Police Department. As an attorney, I've talked to numerous minorities who have been pulled over in Carmel and being asked why they are driving in the city. Throw in a Marion County license plate and an older model car, the odds of an African-American or Latino driver getting pulled over in Carmel rises dramatically. While Martinsville gets the rap of being a racially intolerant community, I have never heard the same sort of complaints from minorities about Martinsville that I hear about Carmel. While I doubt Carmel police officers are deliberately racist, there is an attitude in Carmel that "outsiders" are responsible for crime in the community and the easiest way for officers to identify those "outsiders" is the color of a person's skin. Issues of race and police misconduct are real. 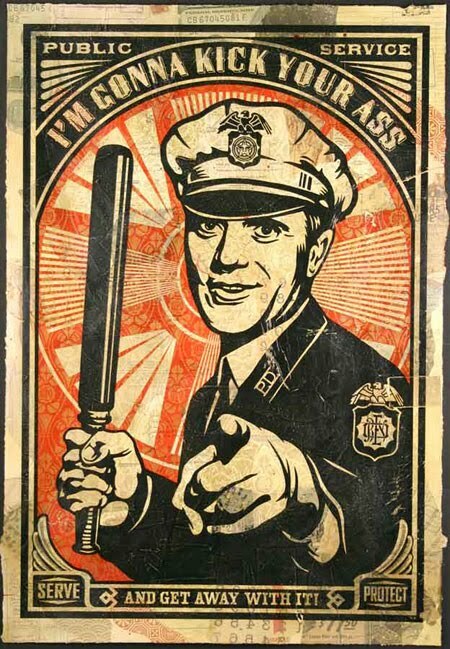 While we should give law enforcement officers the benefit of the doubt given the very difficult job they have, that doesn't mean suspending common sense or giving officers a green light to beat up those suspected of a crime. while our infrastructure needs go unmet. Those aren't the only options. Mayor Greg Ballard's proposed deal funds a broad menu of pork-barrel projects and everyone is poised at the trough. Marion County residents won't see the real cost until many of these elected officials are out of office and it's too late to do anything about it. His proposed $450 million payment to the city would increase our water bill by about $29 million a year for 30 years. It's designed to do an end-run around property tax caps by increasing water bills instead of property taxes. The right answer is that we should structure the deal in the most simplest, transparent, economical and accountable way possible. We should transfer the water company to Citizens Energy without any payments. Citizens has an excellent reputation and is a nonprofit owned by the citizens of Marion County. Essentially, we would be transferring the utility from one city board to another -- except that the Citizens Energy board knows how to run a utility and is free from political influence. In addition, Citizens Energy claims it can achieve significant savings from the combined utilities. The transfer should not include the provision in the mayor's proposal that Citizens Energy continue the expensive Veolia contract. There's no use in encumbering Citizens with the city's previous mistakes. The mayor needs to pay for infrastructure improvements separately so he can be held accountable for their cost. Preferably, they would be funded through greater efficiency, as he promised when he ran for office. It could also come from redeveloping vacant and underutilized property in Marion County. The cost shouldn't be hidden in water customer rate hikes. Albert Einstein once said "The definition of insanity is doing the same thing over and over again and expecting a different result." City Market leaders apparently think insanity is the right approach to fixing problems with the City Market. In 2007, City Market underwent a $2.5 million renovation which ran about 6 months longer than anticipated and ended up with many vendors being relocated and half of the businesses leaving. After the renovation, City Market promised a new mix of vendors trying to get the destination to return to its glory days as an open air marketplace with fresh produce and meats. They also promised to stay open in the evenings and on the weekends. Now, the board that runs the City Market has a new plan. They'll invest $2.7 million on renovations and try to get a new mix of vendors that will return the market to its glory days. They are again promising to be in the evenings and on the weekends. 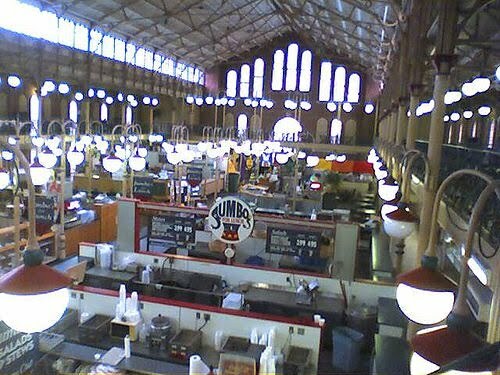 The long-struggling City Market looks particularly drab these days. Several vendor booths sit empty in the historic Downtown Indianapolis building. Visitors are underwhelmed by the dull gray of the floors and support beams. And by 3 p.m., workers at the market are packing to go home after serving a mostly lunchtime crowd. But by next spring, city leaders say, all of that will be different. Wednesday, the market's board presented plans for a $2.7 million renovation that would revamp its design with new colors, vendor stands and lighting. It also would demolish the market's west wing and make the main building self-sufficient by adding restrooms, a new heating and cooling system and elevators. The renovation, funded by property tax revenues captured from a Downtown development district, is the first major step in the city's latest effort to revive a venue that has struggled for decades to attract customers and become financially self-sufficient. It comes after a tumultuous year in which the market evicted its former anchor tenant and had to seek city help to get its bank accounts unfrozen. "We hit an all-time low," said Wayne Schmidt, president of the market's board. "We're rebuilding from that point." As part of the rebirth, market leaders also will add daily live music and entertainment, extend hours into the evening and launch a new brewery serving beer by the glass and for carry-out. Moving current tenants from the building's wings and attracting new ones also will help fill the main building and add options for customers. A bakery moved in this month, and a pretzel vendor is expected in June, while talks with several other potential tenants, including a soup shop and a produce stand, continue. "I need this to be a destination point," Mayor Greg Ballard said Wednesday. "You have to have the sorts of amenities that people want to gather around." I remember when Moody's Meats opened a stand in the City Market after the 2007 renovation. What did they expect - people who work in the City-County Building were going to buy an uncooked slab of meat to take back to their home and then haul home to cook later that evening? Obviously that didn't happen and Moody's failed to catch on at the City Market. I remember in business classes being told the importance of doing market research before opening up a business. Why is it that we have a government body, the City Market Board that thinks it can best gauge what business model will succeed in the building? I like history more than just about anyone, but it is time to give up on the idea that the City Market will ever go back to being an open air marketplace where people will shop from fresh meat and produce. The model doesn't work. Let's find a business model that will work for the building and stop pining for the past. Sheila Kennedy's column "Let's grow up and pay our bills" (May 10) amounts to little more than her usual cry to raise taxes on those of us who live in Marion County. Guess what? It's possible to get things done in Indianapolis without hiking the burden on taxpayers. Mayor Greg Ballard's proposed transaction, of which I am the initial City-County Council sponsor, with Citizens Energy Group is the only idea in the public arena that meets two fundamental challenges: deteriorating infrastructure and the skyrocketing increase in water and wastewater rates. It does so while creating jobs, reducing future rate increases and investing more than $400 million in our neighborhoods -- all while taking the politics out of the water and wastewater utilities. Kennedy gives a very brief history on prior administrations but forgets key facts. It is widely accepted that the Peterson administration significantly overpaid for the water company. Furthermore, the water company was purchased for $515 million, but now its total debt exceeds $960 million. That's horrendous financial management. Add to that the Peterson administration's politically motivated decision to freeze rates for five years and make the mind-boggling decision to invest disproportionately in variable rate bonds (both of which have led directly to the recent requests for emergency rate increases), and you have a snapshot of our current problem. The Ballard administration and the current City-County Council have balanced the people's budget two straight years without a tax increase and actually reduced income taxes. Despite what Kennedy believes, our income and property taxes are high enough. Attempting to rely on the tired old class warfare argument, Kennedy indicts the water and wastewater rates without mentioning that her argument applies to the rate structure of all utilities. Real leadership, Republican leadership, means saying no to raising taxes and working diligently to craft a solution based on a different model. We don't need to grow up. We need to live within our means, just like families do. I love the gem where Speedy says that "Republican leadership, means saying no to raising taxes and working diligently to craft a solution based on a different model." Really? Did Speedy forget that he cast the tie-breaking voter for the CIB taxes last year? Did Speedy work diligently to force the CIB to change how it operates? Nope. In fact, not a single councilor demanded reforms prior to casting a vote to bail out the CIB. Now armed with the knowledge that the Mayor and Council won't demand accountability for its waste of taxpayer money, the CIB is talking about giving away $18 million more in tax dollars for the Pacers. Speedy's memory must be foggy. The Ballard administration has repeatedly proposed raising taxes. Ballard proposed raising the car rental tax, the hotel tax (which succeeded in giving us te highest hotel/sales tax in the country), the alcohol tax, the food and beverage tax. He has proposed massive increase in business taxes....er fees. The man has done little else but propose tax/fee increases while in office. I have somewhere a list of taxes and fees that the Ballard administration has proposed increasing. The list is very long. I'm sure the Democrats have a similar list. Speedy peddles the tired argument about how the Ballard administration "balanced the budget" two straight years. By law municipalities are required to balance their budgets. Peterson had a balanced budget for all 8 years of his time in office. The question is always how much smoke and mirrors arre used to get the balanced budget. The Ballard administration used plenty of budgetary tricks to get to a balanced budget. For example, a while back I wrote about how the City had self-funded government employees insurance, rolling into the next year obligations to pay claims - an accounting trick. Oh, and when is that county option income tax cut Ballard promised coming? Despite Speedy's spin, Mayor Ballard has broken virtually every campaign promise he has made. Ballard has no discernible conservative instincts and I for the life of me don't know why he even bothers calling himself a Republican. 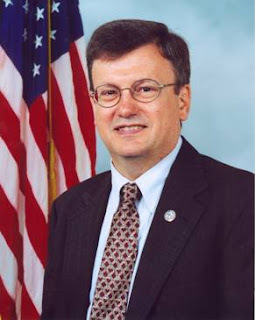 Ballard is the most liberal Indianapolis Republican officeholder since Virginia Blankenbaker served the northside of Indianapolis in the Indiana State Senate. Speedy talks about the proposed sale of the water and sewer utilities mentioning management of the utilities would be better if it were removed from political control. He thinks the utilities would be better managed by Citizen's. I have no doubt he's right on both scores. What Speedy though conveniently overlooks is that the "sale" is not a sale at all. The City represents the public. Citizen's is a public trust, that represents the public. We're selling the utilities to ourselves. The "sale" is simply a ruse to generate a big up front cash payment that can be spent going into the 2011 municipal elections. How is Citizen's going to come up with that cash? By borrowing, which debt will be paid for by the public in the form of higher water and sewer bills. The opponents are right that this "sale" will cause a huge tax increase that will be paid for with higher utility bills. If Speedy is sincere in wanting to do the right thing, he should simply support a transfer of the utilities without the cash payment that will trigger the higher water and sewer fees to cover infrastructure repairs unrelated to running the water and sewer utilities.. There is nobody I respect more in the Indiana Senate than Senator Mike Delph. Sen. Delph and I agree on probably 95% of the issues. More importantly, the man brings a sense of integrity and a commitment to public service for unselfish reasons, which is more than I can say about many Indianapolis-area politicians. Having said that, one area where we have some disagreement is in the area of immigration. I say "some" because I agree with Senator Delph on immigration a lot more than he probably realizes. I think we do need immigration laws enforced. I do think we have a right to know who is in the country. I do think we need to stop handing out benefits to illegal immigrants. The disconnect is an unwillingness for those on Delph's side, the anti-side, to accept that part of the reason we have a problem with illegal immigration is that the immigration process is horribly broken. The anti-folks refuse to argue for any reform of the system whatsoever, only saying that the current laws need to be enforced. As a lawyer whose law firm has done immigration work, I know the system is needlessly complex, expensive and there is a backlog of applications years long. People get frustrated with the very expensive, drawn out process involved in becoming a U.S. Citizen, and the arbitrary decisions they often have to deal with during the process. People give up trying to come into the country the right way , the legal way, and end up doing it the wrong way, by coming to this country illegally. What we ought to do is to fix the immigration process AND aggressively enforce the law. But for many on the anti-side, talk of any immigration reform is blasphemy, maybe even "amnesty," if it involves anything more than enforcing the existing broken law. Although people on the anti-side claim they are just against ILLEGAL immigration, I think a sizable percent, if not a majority, simply do not like immigration at all, legal or illegal. That's why they don't want a change in the current broken immigration system. I disagree with that position. I think immigration is extremely beneficial to this country and I, like Senator Delph, want those immigrants to be here legally. But that involves fixing the current immigration system. This is an issue that screams out for a reasonable compromise. Seven months before the $275 million expansion of the Indiana Convention Center is complete, convention planners and local convention and tourism officials are calling for an upgrade to the existing Convention Center space. The improvements to existing convention center space would cost $5 million to $10 million, according to the Indianapolis Convention and Visitors Association. ICVA CEO Don Welsh said his organization is working with city and state officials to secure the funding, which might include corporate sponsorship money. Welsh hopes to have the upgrades made by the end of next year, just in time for a major influx of visitors for the Super Bowl in February 2012. “Clearly, when the public sees the quality and uniqueness of the new facility—the entrance, fixtures, carpet, designs, wall colors and wall schemes … the current building will be judged,” Welsh said. The Convention Center is a key economic driver, not just for downtown, but for the entire region, and keeping it in pristine shape is critical to getting the most out of it, Welsh said. Yep, Welsh wants more money so that the carpet and paint in the old and new parts of the building match. Just a mere $5 or $10 million. Pretty expensive carpet and paint. Is there any law that would allow us to send Welsh back to where he came from - Seattle? I am not sure how many people saw it, but Indianapolis Convention & Visitor Association President Don Welsh had a letter to the editor this morning arguing in favor of the $425 million dollar water/sewer utility deal, which will result in homeowners paying higher rates on their water and sewer bills to fund this "sale" of the utilities from one public entity to another public entity. 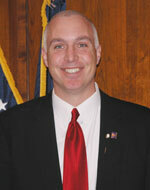 Has ICVA's Don Welsh ever opposed the taxpayers forking over more dollars? The man, with his benefit package, pulls in nearly a half million dollars a year. The ICVA is filled with employees making $130K to $200K plus. Yet, Welsh's answer to everything is Joe and Jill Sixpack kicking in more of their hard eared dollars to the public till or to ICVA's coffers because of the "great" work the organization does. Why just a few days ago, I reported how the ICVA claimed it turned every $1 spent on advertising into $289 in economic activity, an astonishing 28900% return on its investment. I think the City needs to cut a deal with the Pacers. We will let the Pacers out of the Conseco Fieldhouse contract. In return, the team has to agree to take Don Welsh with them to whatever city the team moves to. Welsh's act has grown tiresome. Time to move on and gouge some other poor city. 2010 has now seen then end of the political line for Marion County Prosecutor Carl Brizzi, U.S. Rep. Steve Buyer, Sen. Evan Bayh (at least for now) and now Rep. Mark Souder. Congressman Mark Souder resigns in the wake of an affair he had with a female staffer. The Indianapolis Star reports. I could be wrong, but I believe the process is that a caucus of Republican precinct committeement in Congressional District 3 will pick someone to finish out Souder's term. Republican party leaders will have to appoint a ballot replacement for Souder who won the May primary. While Souder and Buyer's late hour resignations appear legitimately related to personal issues, I'm a bit surprised there has not been more backlash to the Bayh resignation, the timing of which seemed disingenuously aimed at ensuring that party insiders, rather than Democratic primary voters, picked his replacement on the ballot. Make no mistake about it. 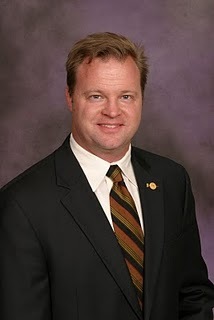 Were it not for Councilor Ryan Vaughn's job as Barnes & Thornburg attorney and lobbyist for B&T clients, he would not be President of the Council today. He certainly has demonstrated no political skill that woudl warrant his rise to the position. Vaughn was pushed to the top so that Barnes & Thornburg would have as much control over the Council that the law firm has over the Mayor's Office. 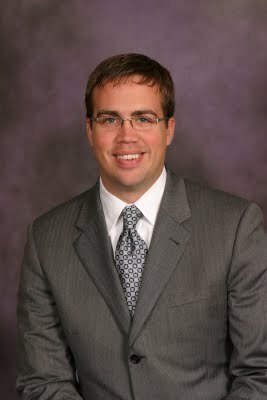 Vaughn's job on the Council includes protecting the interests of B&T clients. You can bet that B&T is selling to its clients, and prospective clients, the political influence the firm wields by having an attorney of the firm running the city's legislative branch. City-County Council President Ryan Vaughn continues in his efforts to ram through a plan to transfer the utilities currently owned by the City of Indianapolis to Citizens Energy, a public benefit corporation owned by the residents of Marion County, in a deal that forces the utility to pay $263 million to the City to finance pork barrel projects supported by Mayor Ballard and the Republican-led council, and that forces on Citizens a one-sided operating agreement that allows the client of Vaughn's law firm (Veolia) to continue operating the water utility. ....The Democrats have asked that more time be spent studying the deal, which has been before the council for all of about 60 days. "How can you vote not to continue to talk about the deal?" Vaughn, the conflicted Republican leader is quoted as telling the Star's Francesa Jarosz. The real question is why Vaughn is even speaking out about the deal since his law firm's client stands to continue making more than $40 million a year managing the water utility. Ryan Vaughn worked in Marion County Prosecutor Carl Brizzi's Office. Vaughn has apparently learned a thing or two working for Carl Brizzi. Like Brizzi, Vaughn is ignoring any appearance of impropriety and conflict of interest in leveraging his position for selfish interests. Vaughn's defense that he is not a B&T partner is laughable. His job at B&T is to promote the interests of the law firm clients, including Veolia. Imagine if Vaughn took a position against Veolia's interests. The fact that he couldn't do as a B&T attorney demonstrates that he has a conflict of interest in voting on any issue involving Veolia. With Marion County Prosecutor Carl Brizzi soon to fade from the local political scene, Ryan Vaughn becomes the poster-child representing what is wrong with Marion County GOP politics. Mired in a significant minority, Republicans cannot continue to win locally emulating the ethical and conflic of interest problems that plagued Democrats when they ran Indianapolis government. 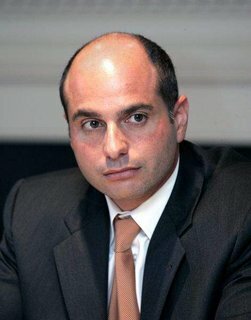 One good thing about the upcoming election disaster (for Republicans) of 2011 is that Vaughn's reign as Council President will end and his fading into political obscurity will begin. This morning Francesca Jarosz of the Indianapolis Star has an interesting front-page article about the Pacers contract suggesting it is unlikely that the team would move. The article (which apparently is not on-line) for the first time contains the correct observation by a reporter that in order for the Pacers to even exercise the early termination provision, the team has to be relocated and sold. The Simons just can't pick up the team and move. The article also reports that Capital Improvement Board officials are claiming the penalty the Pacers would have to pay is only $20 million dollars. Reportedly CIB officials are claiming that the Pacers have a right to an offset to that penalty by an amount the team, supposedly, borrowed to cover operating costs. After hearing that rumor I again reviewed the contract to see if there was something I missed. Indeed there is a provision that talks about the CIB covering Pacer losses, but that provision is not an offset to the penalty. Rather it is one of several factors that must exist before the Early Termination provision can be exercised. Let me explain. 1) Notify the NBA that it intends to relocate the Pacer franchise. 2) The Pacers have to notify the CIB w/i 30 days that the team has notified the NBA it intends to relocate. 4) The Pacers project that the team will have a cumulative net cash flow from 7/1/97 to the final season of the contact that is less than the target cash flow. 5) the CIB does not within 60 days of the notice of intent to exercise the early termination provision, agree to subsidize the Pacers to cover losses received in the year following the exercise of the notice of early termination and the year after that. 6) Pacers plan to sell enough of its stock as to trigger the CIB's right of first refusal. ---Note: This is a sale of more than just a few shares. It's basically a sale of the majority of the Pacers stock so as to effectively be selling control of the team. The Simons family and Larry Bird are the sole shareholders. There are two ways of measuring the early termination penalties. We will call them Option A and Option B. Option A is based on the sale price of the team. In determining the penalty, you take the option that produces the lowest penalty. The applicable termination rate declines every year. (This is a table of percentages attached to the contract.) In 2009 it was 50%; in 2010 it dropped to 45%. Assume the team sells for $250 million. The Option A calculation for 2010 (assuming the $250 mil sales price) is $250 mil x 45% = $112.50 million plus $25 million (estimated balance of CIB loan for unpaid utilities) = a penalty of $137.5 million. To figure the penalty under Option B you take $50 million and add it to the "applicable scale amount." (That's a table attached to the contract.) That amount that declines every year. In 2009, the "applicable scale amount" was $92 million. In 2010, it declined to $80 million. So the Option B penalty calculation for 2010 is $50 million + $80 million = $130 million. To recap, Option A in 2010 produces a penalty of $137.50 million. (Assuming the $250 million sales price.) Option B produces a penalty of $130 million for 2010. Since you use the option which produces the lowest penalty, the penalty for the Pacers to move in 2010 (assuming the team can even meet all the requirements to exercise the Early Termination option) is $130 million. 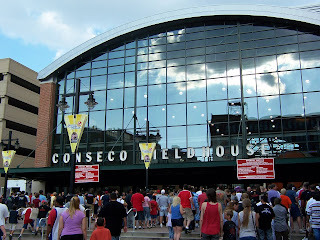 One has to wonder why CIB officials like Paul Okeson insist on continually misrepresenting the terms of the Conseco Fieldhouse contract. CIB officials have actively dismissed published reports which suggest the penalties for the Simons to break the contract would be over $100 million and instead have proceeded with negotiations as if the Simons could just pick up the team and move with little or no consequences. Okeson and the CIB couldn't care less about what is best for the public. Their goal is to put millions more in taxpayer money in the pockets of the billionaire Simons family and they are more than willing to misrepresent the facts to the public in order to accomplish that task. As readers of this know, I recently ran - unsuccessfully - for Pike Township School Board. When I get involved in such ventures, my hectic work schedule becomes even more hectic. Working full-time during the day and working on the race at night and on the weekends as well as continuing to teach, I tend to let a few things slide. My neighbors will attest to my overgrown yard. One thing I also missed was sitting down at the computer to pay my bills on-line. It turns out one of those bills I missed paying was my Comcast bill. I have had one Comcast service or another since I moved into my current house back in 1989. Over the years I was impressed by their service. On the rare occasions I had service problems, I used to be able to pick up the phone 24 hours a day/7 days a week and almost immediately be speaking to an easy-to-understand representative who would patiently try to fix the problem. One New Years Eve, a Sunday, I stayed in and ordered a movie. I somehow managed to hit the wrong tab on a menu and ended up with my pay-per-view movie in Spanish. It was 10 o'clock in the evening. I called Comcast's service department at about 10 pm, thinking there is no way they'd be open on New Year's Eve. They were and a representative patiently walked me through the problem. I also tell the story about how I'd been having problem with water in my cable lines. A Comcast representative came out to my house. Instead of just fixing the area of the problem, he rewired the entire house, spending hours in my damp crawl space. Another time, a service technician came out to fix my television service. I mentioned I also was having performance problems with my computer. (The internet service was also provided by Comcast.) He sat down at my computer and worked on getting my computer operating faster, even though the performance problem wasn't Comcast's fault. I was so impressed by how the company was operated, I even bought stock in the company. The last few years though I have heard how Comcast's customer service had taken a nosedive. Frankly, though I hadn't had any maintenance issues for a few years with either the high speed internet or cable. So I hadn't had reason to call ...until this week, that is. Last Wednesday, I noticed my high definition and DVR suddenly went out. Thinking it was a service issue, I tried to call Comcast's service department. Instead, I was routed to the payment center. They told me I had missed a payment and demanded I make a payment through Comcast. When I told them I had an electronic check already scheduled to go out in a few days, that wasn't good enough for them. When I pointed out that I had been a customer for 21 years and paying my Comcast bills for those two decades, they didn't care. The representatives refused to let me talk to their service department unless I immediately made a payment through them. Later I found out they were deliberately misleading me - there never was any service issue, that Comcast had in fact disconnected my high speed and DVR service, while not disconnecting the other services. All my attempts to get around the re-routing to the Comcast payment center proved unsuccessful, except for one. I decided to talk to the sales department thinking the people who work there would understand the importance of the keeping a 20 year plus customer. I did talk to a Comcast sales representative who did understand and worked hard to convince his supervisor to help me out. No dice. 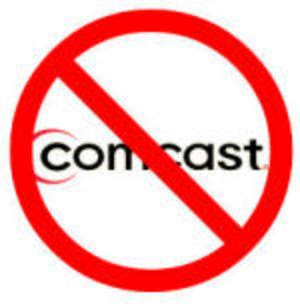 By this point, I had become so fed up with how Comcast was treating me that I decided to terminate all my Comcast services. Or I should say I tried. When I called Comcast, the representatives refused to connect me with the department that would terminate my service. Instead I continued to get routed back to Comcast account representatives who demanded I make a payment with them. Finally a representative explained that Comcast doesn't allow people to terminate their services over the phone. You have to have a face-to-face meeting with an account representative and turn in all your equipment before they will terminate the service. I have no problem turning in my equipment. I do though doubt the legality of Comcast's practice of refusing to terminate your service (and stop charging you for it) until you have a face-to-face meeting with a customer service representative at the company's office. So I went by Comcast's westside office this morning thinking the company had to have some Saturday hours. Nope. The offices are only open 9-6, Monday through Friday. So now I have to take off work to cancel my Comcast service. Real inconvenient and I'm sure intentionally so. To any Comcast representative out there: Is this any way to treat a loyal, 21 year customer?